Last seen ASIAN movie - Page 274 - Horror.com Forums - Talk about horror. After astronauts discover aliens on Planet X, the Xiliens tell them they want to borrow Earth's giant monsters Godzilla and Rodan to chase away their resident destructive monster, Ghidorah. In return, the Xiliens will slide Earth a cure for cancer; but are the Xiliens performing a sleight of hand? The plot is basically Godzilla Vs Mothra (1962) meshed with the 1957 Toho sci-fi, The Mysterians, produced nearly a decade earlier. The film looks really good... vibrant color and nifty special effects. The human characters are lighthearted, humorous and enjoyable, including a leading role by American actor Nick Adams. There is not a lot of face-time for the giant monsters, but when they are in action, it's sharply choreographed, and sometimes whimsical. The light nature of the film tries to be welcoming to children within a General Audience format... you know, even though characters are vaporized and there is really no particular positive message for children; perhaps only producing nightmares. Last edited by Sculpt; 03-03-2018 at 06:28 PM. A little girl's drowned body miraculously comes back to life in the morgue. She is returned home to her stunned grieving family and a horrible story unfolds. If you haven’t, go watch it! It's been on my list forever. Any subtitle films tends to take me awhile. You know... I really haven't watched that many Asian movies in my life. The only ones I can think of are Ju-On, Ju-On 2, Ringu, The Rebirth of Mothra 1, 2, and 3, Godzilla vs Mechagodzilla, and Godzilla, Mothra, and King Ghidorah: All-Out Attack. I've also watched some Japanese Animation when I was younger but I'm really not a fan of the genre at all. Last edited by LuvablePsycho; 08-19-2018 at 07:18 AM. 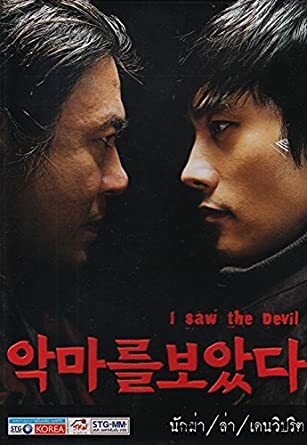 Gonna have to push you on this one Sculpt, it’s a fantastic flick ( like Villain said ) and Choi Min-Sik’s performance is easily on or with Michael Rooker’s or Joe Spinell’s in Henry and Maniac respectively, in terms of a main antagonist. You... I really haven't watched that many Asian movies in my life. This is a good one to break that mold with.